Kevin Perrotta has written about the Bible for many years and has served as editor of the popular Six Weeks with the Bible books. He has a masters’ degree in theology from the St. Paul School of Divinity in St. Paul, Minnesota, and teaches occasionally at Sacred Heart Major Seminary in Detroit. Kevin and his wife, Louise, live in Ann Arbor, Michigan. In this Bible study, popular Scripture commentator Kevin Perrotta selects six readings from Scripture—one Old Testament and one New Testament text for each spiritual discipline. Each passage confronts us with some of the most important aspects of these practices, showing us why we undertake them and how they can transform us so that we become more like the persons that God has created us to be. Read a chapter from this book. 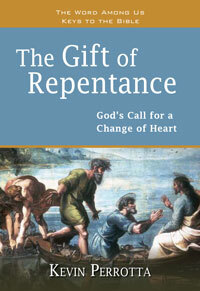 Repentance is a gift—because coming to the realization of ourselves as sinners opens our hearts to the gospel. And while consciousness of our sins is uncomfortable, it is also a cause for hope. In those feelings of guilt, says popular Scripture commentator Kevin Perrotta, God is calling us to return to him. 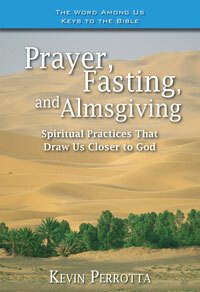 Click here for supplement podcasts and to view sample of the Bible study.